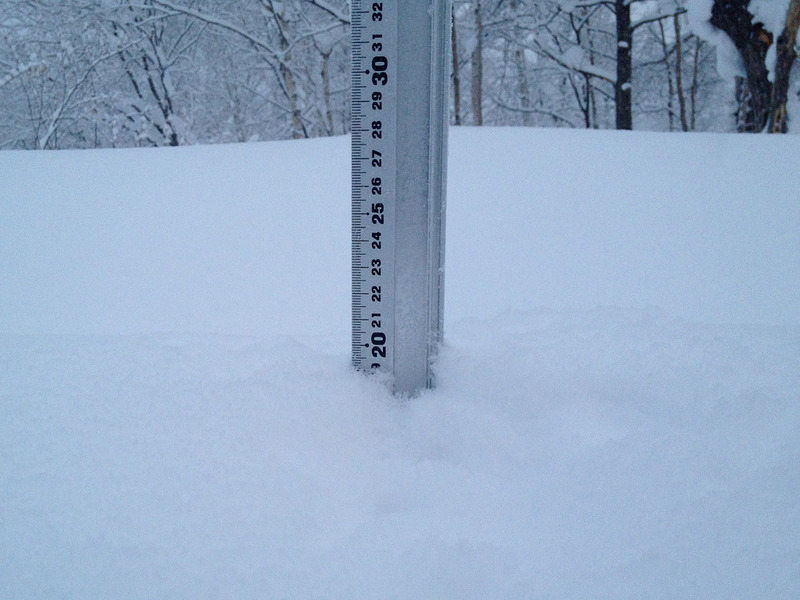 *1cm of fresh snow as fallen in the last 24hrs in Hirafu Village. At 07:10 today the temperature was 1°c. This morning Hirafu is in the grip of a blizzard with strong winds and heavy snowfall. The warmer temperatures that moved into the region yesterday have cause some snow melting around the village however it is likely that conditions will have compacted the snow base nicely on the mountain. Later in the week temperatures are set to plummet with the return of heavy snowfall.